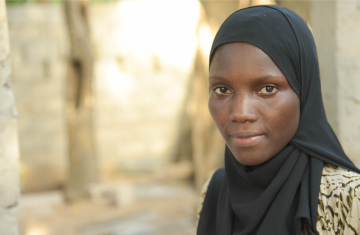 Here we bring some of the amazing stories young Gambians have to tell. Kekuta Joof participated in the Satellite Installation training at Sterling Consortium, supported by YEP. He has also benefitted from a YEP toolkit and has recently been approved for a Mini-Grant. The training along with the job experience helped him master his craft and today he teaches other five youths on the job. 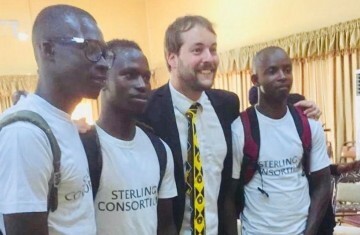 Ebrima Jallow, Ebrima Jarju and Saikou Jammeh met during their technical skills trainings at Sterling Consortium, supported by YEP. Two of them tried to take the backway but failed and eventually returned home voluntarily. In 2018, they formed 3J, a company that provides CCTV Installation, Plumbing and Electrical Installation services to schools, private homeowners and companies. "I know that I can be bigger and better developing my poultry here than if I were in Germany or some other country. 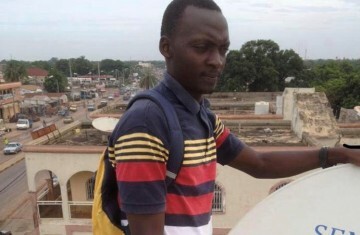 I am contributing to The Gambia, my homeland." 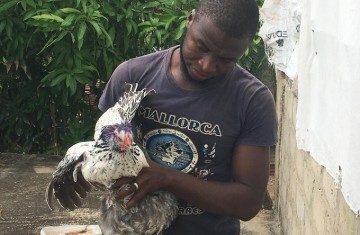 Having experienced the hardship of the backway, Baboucarr Jaiteh started a small, local poultry business upon his return to The Gambia. With support through the YEP Mini Grant Scheme he managed to grow his business beyond the initial projection, allowing him to set his sights on scaling up and expanding his customer base now. His formally registered business, Soniba Poultry, provides work for nine employees. 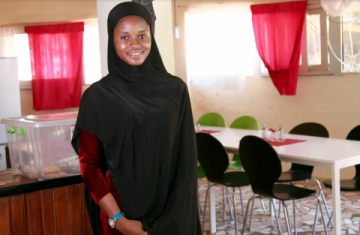 Isatou Jobe operates a restaurant and offers catering services for institutions and formal events. The YEP Mini Grant Scheme enabled her to expand her business and to receive training on entrepreneurship and book keeping. She succeeded to build up her your own business, now even earning more money than when she was employed, while at the same time generating employment opportunities for other young Gambians. Alfu Sarr is a young entrepeneur from Ndofan village, NBR who runs a cashew growing business the Noble Business Initiative. With the financial support from winning the Young Business Innovation of the Year 2018 award, he plans to expand his operations. 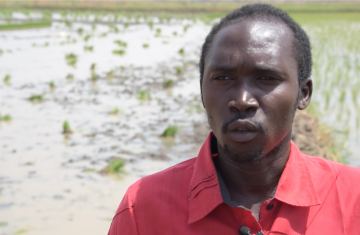 Bora Kanteh was named as the Runner Up in the Young Commercial Farmer of the Year 2018, for successfully producing 160 bags of rice. 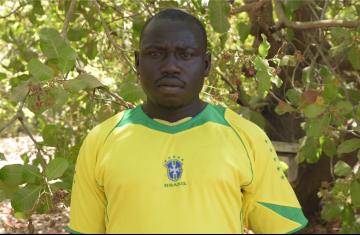 He plans to further improve the productivity of his farm in Brikamaba village, CRR with the financial support from winning the award. Hatta Boye, hailing from Boiram village CRR, won the Young Commercial Farmer of the Year 2018 Award for succesfully cultivating one hectare in her village, producing 3 tons of rice. 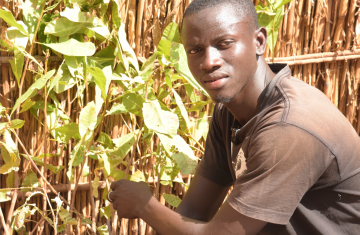 Omar Trawally is a young cashew farmer from Foday Biram village, NBR. With a storng motivation to be independent, he is on track to expand his business with the financial support from winning the Young Emerging Business of the Year 2018 award. Mamud Ndow is an entrepeneur from Farafenni, NBR, who successfully established his juice processing nad production business, Ndow's Juice Bar. He won the Young Business Idea of the Year 2018 Award, and he has concrete plans to expand his business using the award. Lamin Keita hails from Tendaba Village, LRR, and was awarded the Best Packaging and Labelling of Products of the Year 2018. 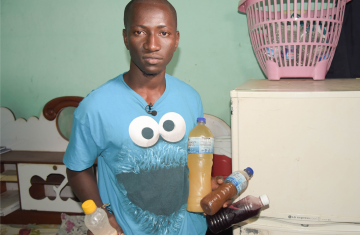 With the financial support from the YEP's award, he plans to register and expand his packaging business. 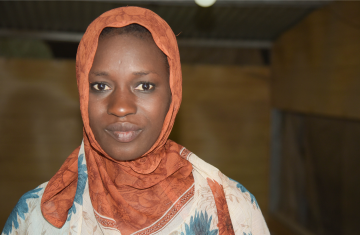 Fatoumatta Gassama is a young entrepeneur from Kubariko village, WCR who won the 2nd Runner Up for the Young Entrepeneur of the Year 2018 Award. With the financial support from YEP, she has a concrete plan to upscale her business and hire her fellow youth. Sarjo is an entrepreneur from Brikama, WCR who runs a sheep grazing business. With the financial support from becoming the 1st Runner Up of the Young Entrepreneur of the Year 2018 Award, she is planning to expand her business. 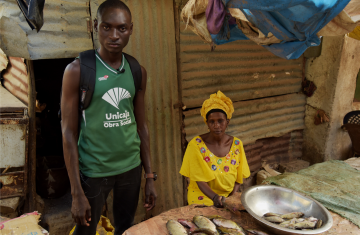 Musa Jaiteh is a young entrepreneur from Farefenni who won the 2018 Young Entrepreneur of the Year award for his business, "Jaiteh Fishing". 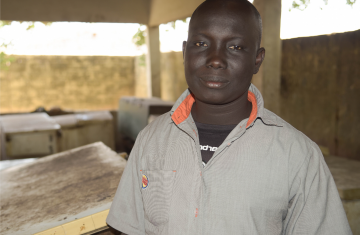 "The YEP programmes have really impacted my business a lot as I now got the required skills and knowledge to run my business and the manual press block making machine." 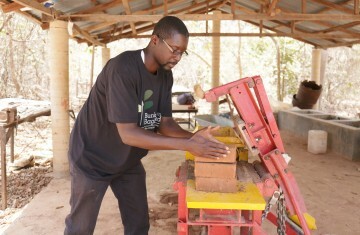 Masamba Ceesay participated on two entrepreneurship trainings funded by YEP, and, later on, on the two-week training course on the production and use of compressed stabilized earth blocks (CSEB) at Auroville Earth Institute, India. Based on his acquired knowledge, Masamba Ceesay founded Mass Construction Services Enterprise, with support from YEP's mini grant scheme. "Thank you YEP for giving me hope and confidence in life. 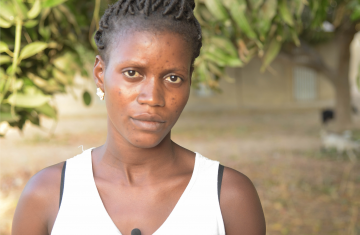 I thought I would never have such an opportunity, but today I am a well-trained solar technician that installs PV Solar system on my own and I can compete with fellow men in the field"
Mariama Jarju learnt the skills to install solar panels and will now be able to support a more green and efficient energy economy in The Gambia. She participated in the Sterling Consortium training on livelihood skills funded by YEP.